The Apple IIc was built as a little brother to the simultaneously-introduced Apple IIe. The IIc was intended for, and was very successful in, the home and educational market. It could easily be considered a portable computer because it's small and self contained (except for the power supply "brick") and even has a folding carry handle on the back. When you reached your destination, you could plug the IIc into a TV set (using either an optional RF modulator for channel 3 input, or one of those newfangled sets with direct video inputs that were just becoming widely available). While the keyboard is small, it's definitely not a "chiclet" arrangement and is well suited for touch typists. 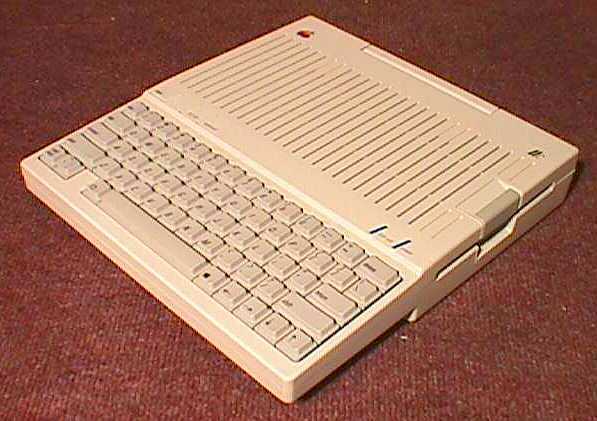 The entire system radiates excellent industrial design and served as a model for the fully functional new laptop computers in the late 80s and early 90s. The IIc was usually paired with either the space-saving and portable Apple 9" green-screen composite monitor with its special stand, or with an Apple monochrome or color RGB monitor.